Time to clean out the attic of your 401(k)? The 1990s are calling - they want their 401(k) plan back. This year the Vernal Equinox falls on March 20th, marking the first day of spring. With spring comes the inevitable urge to clean. Clean the attic, clean the garage, clean the yard, clean whatever stands in the way between the gray ruin of the winter past and the bright sunny joy of the coming summer. What applies to household just as fairly applies to our workplace. And within our workplace resides our most favorite of things: the 401(k) plan. 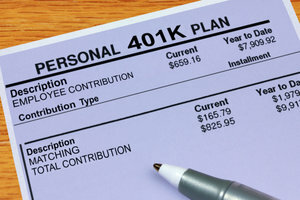 If you’re looking for a quick compendium of the hows and whys of giving your 401(k) a spring cleaning, then turn to “These 7 Articles Help 401k Plan Sponsors Apply Fiduciary Principles to Build a 21st Century Plan,” (FiduciaryNews.com, March 11, 2014). This compendium of articles reads like a virtual ebook and lays out all the basics for updating your 401(k) plan. But why go through the trouble now? A lot has changed since the inception of the 401(k) some 30 years ago. Unfortunately, many plans still reflect 1990s thinking. They fail to take advantage of the advances in research that make 401(k) plans easier to use and help plan participants make more appropriate decisions. Think about it this way: How many of you are still driving around in cars built in the 1990s? Heck, that was three presidential administrations ago. When they do save enough, they tend to invest too conservatively. Since the turn of the century, there’s been a proliferation in academic research, much of it seeking to find ways to rectify these three common participant mistakes. In the last few years, we’ve seen new plans and plan redesigns that reflect the fruits of this research. For example, auto-enrollment and tiered option menus are fast becoming the norm. And auto-escalation isn’t far behind. So, I repeat, when was the last time you updated your plan design? If it hasn’t been in the last few years, then you may be betting a secure retirement for your employees on 1990s technology. What’s your plan for your best clients’ 401(k)s?